Digital Marketing is a concept that embraces all the alternatives to traditional marketing that businesses now face. In the past they were addressed as separate items. 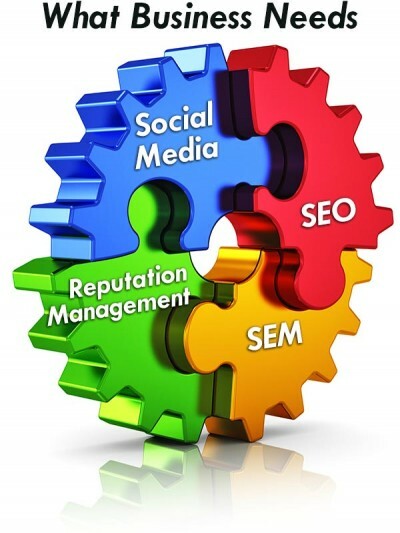 The common buzz words are SEO, Social Media, Conversion Optimization and Engagement, SEM, Local Search and Citation Management, and Reputation Management. As the internet continues to evolve, it forces businesses to figure out how they too must evolve and how to operate within these marketing channels. The expectation is that a business should have all of these items and they should all work together. Additionally, there needs to be a seamless integration between digital marketing and legacy marketing. Branding and off-line interactions continue to have a powerful effect on the digital marketing aspect of a business. It is more important than ever to have a strong community footprint that fosters the need for press. Plus, a well developed brand is the foundation of all of these items. ACTWD believes that you have to approach your digital marketing in a holistic way. All aspects need to work in concert to properly support the business and the brand. We have set up expert teams to address the individual needs of our clients. We are prepared to handle one or all aspects, depending on what services our clients need. We also work with our clients to comprise a complete solution that features innovative thinking and forward-thinking processes, but also considers budget. Understanding our client’s business and how they need to function is paramount to what we do. In doing this it allows for our clients to stay ahead of the curve and compete regardless of their size. The internet has been the great equalizer for many businesses, and although big business is learning how to be more effective, there is still plenty of room for websites that use good principles and have a total marketing package. ACTWD offers a full line of Digital Marketing Services. Please call today and speak with us on what we can do to help your business.